At first glance, the spinning dancer looks just like an ordinary image of a woman doing a pirouette. However, for most, after enough observation, the tiny figure suddenly switches the direction of her dance. For over a decade this illusion has had viewers doubting their sanity, but in actuality, the figure’s directional change has little to do with the brain and everything to do with our vision. The spinning dancer was created by Japanese web designer Nobuyuki Kayahara in 2003, and since the early 2000s, it has gained popularity as a way to determine whether or not people are right-brain (creative) or left-brain (logical) dominant. Viewers are told that if they view the dancer as standing on her left leg and spinning clockwise, then they are right-brain dominant, and if they see the reverse (the dancer standing on her right leg and spinning counter-clockwise), then they are left-brain dominant. Unfortunately, this causes mass confusion because most individuals originally see the dancer turning clockwise, yet eventually see her switch direction. In reality, the spinning dancer is not actually an accurate decipherer of an individual’s brain-side dominance, however, but rather an indication of a person's visual preference. As explained in a 2010 paper, our vision has many preferences. For example, we are used to seeing lightning come from above and assuming that smaller objects are further away. According to the researchers’ hypothesis, our inclination to view the dancer as spinning clockwise is due to our “visual systems preference for viewpoints from above rather than from below,” the authors wrote. In their research, they found that when they altered the GIF to be viewed from different camera angles, the viewer’s perception shifted. For example, with a camera angle elevated 10 degrees with respect to horizontal, the observers viewed the figure spinning counter-clockwise 60 percent of the time. When the image is rendered with a camera angle looking 10 degrees below the horizontal, the viewers saw the image spinning clockwise for 60 percent of the time. While the findings were intriguing, unfortunately the team only researched the visual bias for viewing the image from above and failed to explain why some viewed the image as originally spinning counter-clockwise. What Is The Spinning Dancer? The spinning dancer is a great example of an “ambiguous illusion.” These images are able to shift from one object to another as a person’s perception of them changes. With the spinning dancer, because the image has no depth or directional cues from the surrounding environment, it’s up to the viewer to figure out which direction the silhouette is turning. 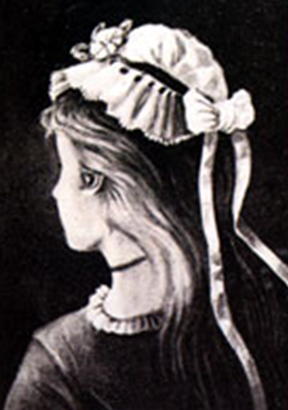 Perhaps the most famous example of an ambiguous illusion is that of the “My Wife and My-Mother-In Law” image, io9 reported. We are generally able to switch from viewing one image to the other, but we're unable to view the two simultaneously. The spinning dancer in particular works off an idea called bistable perception, a concept in which an ambiguous two-dimensional figure can be seen from two different perspectives. Because there is no third dimension, our brains try to fill in the missing information. The underlying mechanisms behind bistable perception are the same as those involved in an observer's normal visual perception, which is why scientists have such a difficult time explaining exactly what is causing this mixed perception. According Toppino, in people who can’t see the reversal in the dancer, it may be that one underlying neural structure is more dominant. If you need a bit of help seeing the images, click here to see the dancer spinning clockwise and here to see her turning counterclockwise.